Shown here on the Commerce door style in Alder. Shown here on the Commerce door style in Alder. Shown here on the Commerce door style in Alder. To create Antiquity, our artisans apply the Ebony glaze by hand and brush it. The resulting look echoes a time-worn patina. 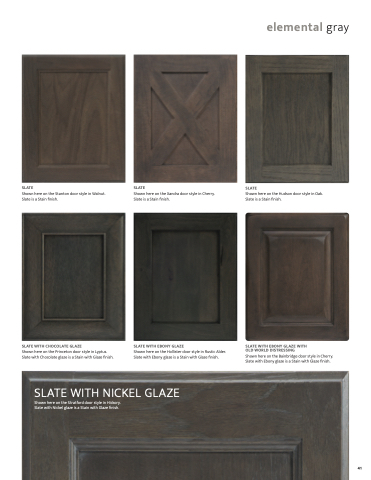 Antiquity is available on on all Alder and Rustic Alder door styles. Shown here on the Commerce door style in Alder. are added to popular colors to add character and in some cases, a vin- tage feel.